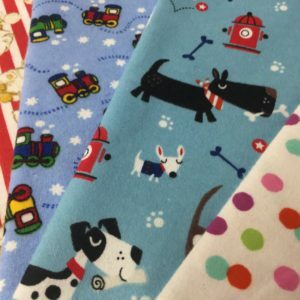 These sheets are made from 100% cotton. 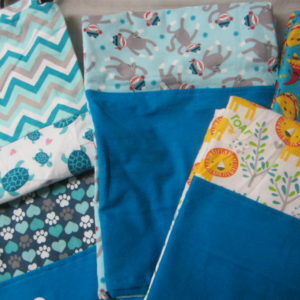 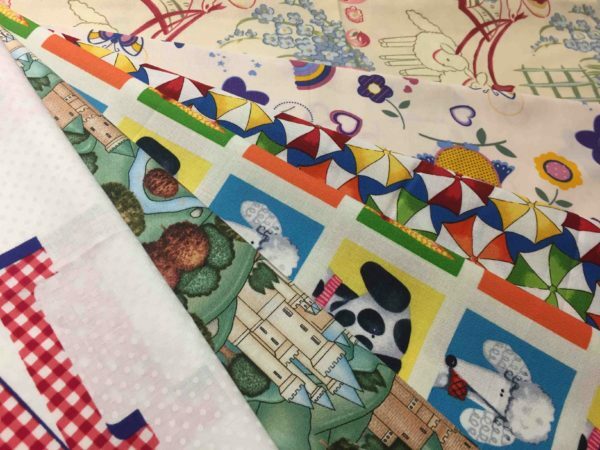 The fabrics will be bright and colorful, fun, kid friendly, and feature all sorts of themes from sports to barnyard animals and from trucks and cars to pink butterflies and all sorts of stripes and polka dots. 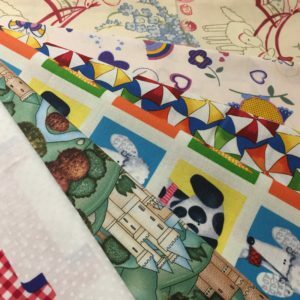 If patterns, prints or colors don’t make any difference to you this is the sheet to order but you will not know what you are getting until you receive the order.